• First Gear Mack Mack LR with McNeilus ZR Side Loader. •Iconic Mack grille. Nicely detailed collectible 1/87 HO scale model for an HO layout, or as a stand alone collectible model. • Scale/Gauge: 1/87 - HO. You are buying a new HO 1:87 First Gear 800332 Mack LR w/McNeilus ZR Side Loader Trash Truck - White. THESE UNITS HAVE SMALL PARTS AND ARE FRAGILE. TRUCK STOP HOBBIES CAN NOT ANTICIPATE THE COST OF THESE FEES AND IS NOT RESPONSIBLE FOR THE FEES. • First Gear Mack Terrapro front end load refuse truck. •Iconic Mack grille. Nicely detailed collectible 1/87 HO scale model for an HO layout, or as a stand alone collectible model. • Scale/Gauge: 1/87 - HO. • First Gear International Harvester TD-25 Crawler with Side Boom. Nicely detailed collectible, 1/87 HO scale model for an HO layout, or as a stand alone collectible model. • Scale/Gauge: 1/87 - HO. Mack LR with McNeilus ZR Side Loader. Iconic Mack grille. 1/87 scale FIRST GEAR. TD-25 CRAWLER WITH SIDE BOOM. INTERNATIONAL HARVESTER. Functioning Side Boom With Swing Cables. FIRST GEAR. Removed From The Box For Pictures Only. 1:87 SCALE. • Volvo VNL 760 sleeper cab with 53' trailer. Nicely detailed collectible 1/87 HO scale model for an HO layout, or as a stand alone collectible model. • Scale 1/87 HO. • Detailed cab interior. • Sun roof. 1/87 First Gear International Harvester 175 Crawler Loader With Ripper 80-0314. Condition is New. PayPal only. Buyer pays actual shipping I do combine shipping so please check out my other auctions thanks!! Very nice first gear ih td-25 crawler. Box may have light shelf wear. Paypal only please. Buyer pays actual shipping I do combine shipping so please check out my other auctions thanks!! Mack LR with McNeilus ZR Side Loader. Iconic Mack grille. perfect to add to your allied,republic,waste connections,etc. premiums or any garbage truck collection. This truck is very small and really neat. 11-3/4"L x 2-1/2"W x 3-1/4"H, A nicely painted and detailed truck, see complete details below. • Volvo VNL 760 sleeper cab with 53' trailer. Nicely detailed collectible 1/87 HO scale model for an HO layout, or as a stand alone collectible model. Therefore we have to offset this with handling to avoid loosing money. Iconic Mack Grille. REFUSE TRUCK. Great Addition To Any Die Cast Truck Collection. 1:87 SCALE. FIRST GEAR. White & Red In Color. Model Number 80-0329. Will Make A Great Gift. You are buying a new HO 1:87 First Gear 800329 Mack TerraPro Front Loader Refuse Garbage Truck - Red/White. TRUCK STOP HOBBIES CAN NOT ANTICIPATE THE COST OF THESE FEES AND IS NOT RESPONSIBLE FOR THE FEES. First Gear, 1:87th Scale. Functioning front bucket and support arms. TRUCK STOP HOBBIES CAN NOT ANTICIPATE THE COST OF THESE FEES AND IS NOT RESPONSIBLE FOR THE FEES. THESE UNITS HAVE SMALL PARTS AND ARE FRAGILE. 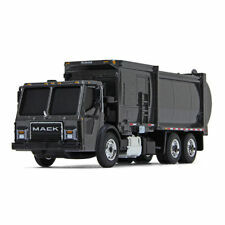 You are buying a new HO 1:87 First Gear 800331 Mack LR w/McNeilus ZR Side Loader Trash Truck - Graphite Grey. TRUCK STOP HOBBIES CAN NOT ANTICIPATE THE COST OF THESE FEES AND IS NOT RESPONSIBLE FOR THE FEES. New 1/87 scale International TD25 with Side Boom. MCNEILUS SIDE LOAD BODY. Iconic Mack Grille. Great Addition To Any Die Cast Truck Collection. REFUSE TRUCK. FIRST GEAR. 1:87 SCALE. Model Number 80-0332. White In Color. SLEEPER CAB. 53' TRAILER. Detailed Cab Interior. Detachable Trailer. Great Addition To Any Die Cast Truck Collection. FIRST GEAR. 1:87 SCALE. Model Number 80-0324.
International Harvester TD-25 dozer in 1/87th scale new in the box. IH construction yellow dozer version. MCNEILUS SIDE LOAD BODY. Iconic Mack Grille. REFUSE TRUCK. FIRST GEAR. Graphite Gray In Color. Great Addition To Any Die Cast Truck Collection. Model Number 80-0331. 1:87 SCALE. This is a First Gear 80-0321 1:87 Scale Volvo VNR 300 Day Cab in Cherry Bomb Red Metallic with Chrome Food Grade Tanker. Manufacturer: First Gear. Model Number: 80-0321. MSRP: 39.99. Category 1: 1:87 Scale. Category 2: Trucking. Availability: Ships in 3 to 5 Business Days. 1/87 First Gear International Harvester TD-15 Dozer Crawler Sweep Rops & Blade. Condition is New. PayPal only. Buyer pays actual shipping I do combine shipping so please check out my other auctions thanks. Mack TerraPro Front End Loader Garbage Truck with White Cab and Red Body. Features include • Iconic Mack grille. First Gear International TD-25 Crawler Dozer w/ Ripper 1/87 FG 80-0303 Yellow. Condition is New/displayed. These dozers are extremely well detailed, just a beautiful model !!! Comes in factory box. Shipped with USPS Priority Mail to lower 48 states only..
Mack LR with McNeilus ZR Side Loaders. Mack LR with McNeilus ZR Side Loader. Iconic Mack grille. perfect to add to your allied,republic,waste connections,etc. premiums or any garbage truck collection. Only one i will have. I have not seen another one anywhere. Features include • Detailed Cab Interior. 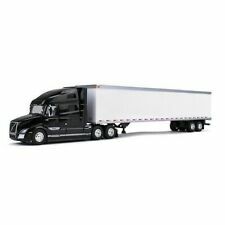 This is a First Gear 80-0324 1:87 Scale Volvo VNL 760 with Sleeper in Sable Black Metallic with 53' Dry Van Trailer. Manufacturer: First Gear. Model Number: 80-0324. MSRP: 39.99. Category 1: 1:87 Scale. Category 2: Trucking. Availability: Ships in 3 to 5 Business Days. SLEEPER CAB. 53' TRAILER. Detailed Cab Interior. Detachable Trailer. Great Addition To Any Die Cast Truck Collection. FIRST GEAR. 1:87 SCALE. Model Number 80-0323. This is a First Gear 80-0318 1:87 Scale Volvo VNR 300 Day-Cab with Food Grade Tank Trailer (Urban Bronze Metallic/Chrome). It Features: Diecast metal cab with plastic trailer, Detailed cab interior, Detailed undercarriage, 8.125L x 1.875W x 1.5H and Recommended for ages 14 and over. Manufacturer: First Gear. Model Number: 80-0318. MSRP: 39.99. Category 1: 1:87 Scale. Category 2: Trucking. Availability: Ships in 3 to 5 Business Days. Functioning front bucket and support arms, fully detailed cab interior, and articulated steering. This is a First Gear 80-0323 1:87 Scale Volvo VNL 760 with Sleeper in Smoky Mountain Blue Metallic with 53' Dry Van Trailer. Manufacturer: First Gear. Model Number: 80-0323. MSRP: 39.99. Category 1: 1:87 Scale. Category 2: Trucking. Availability: Ships in 3 to 5 Business Days. This is a First Gear 80-0319 1:87 Scale Volvo VNR 300 Day Cab in Sable Black Metallic with Chrome Food Grade Tanker. Manufacturer: First Gear. Model Number: 80-0319. MSRP: 39.99. Category 1: 1:87 Scale. Category 2: Trucking. Availability: Ships in 3 to 5 Business Days.